Are you planning to become a bridal makeup artist in the next couple of years? It is a dream of every girl to look gorgeous on her wedding day and it will be your responsibility to make her look stunning. If you are new to bridal makeup, you should know the nitty-gritty of how to go about with the entire process step by step. There are numerous things to keep in mind like the skin of the bride, the texture that she wants, the makeup that would suit her, what shade would look best on her and several other subtle things. As the makeup artist, you will be the one to make sure that the bride looks the prettiest and the best on her Big-day. So, to help you out here is a complete step by step guide to prepare the bride on her wedding day. The first step is to clean the neck and face of the bride. Use a mild makeup remover or cleansing lotion to clean the face of the bride and when done either wipe her face with a soft wet towel or ask to splash her face with cold water. Pat her face dry. You can get it online using the Voonik coupons. The second step is of immense importance and need to be done carefully as it is the base of the entire makeup which will keep the foundation strong for the entire evening. If the bride has dark circles under her eyes, use a concealer to hide them. Even if she doesn’t, use the concealer in small amounts and apply it under the eyes. After this, use the primer and apply evenly on her face. Make sure that the primer blends in her skin and spread thoroughly thus giving a nice and even texture. 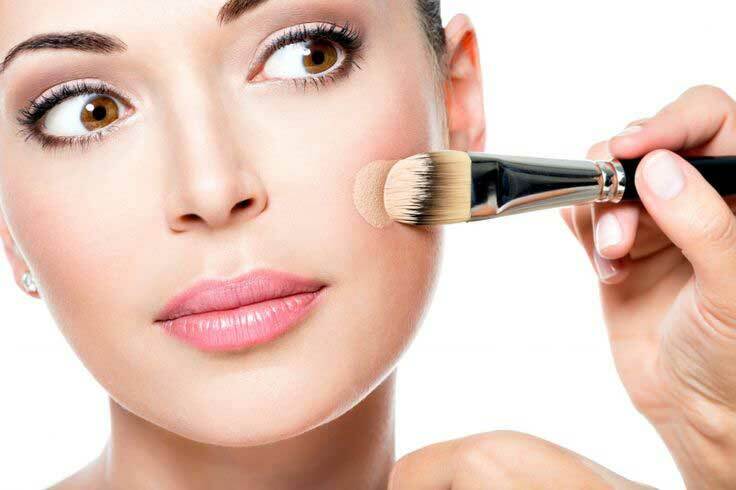 In this step you will have to apply foundation on the bride’s face to complete the base makeup. While using foundation must remember that you should always use sweat-proof or waterproof foundation and also the one that is available as mousse. Since you will need to use more makeup, it is best to use the mousse foundation so that the makeup looks more natural and glowing. Now since the application of foundation is over, set the foundation to perfection with the help of some loose powder or compact. You can use the fluffy brush so that the foundation can be laid easily and the coverage is more with minimum heaviness. Your aim will be to make the bride comfortable with the makeup and not make it a burden on her. One thing that you need to remember is the complexion of the bride. If she has a fair complexion, use a lighter shade of foundation. If she has a dark complexion, use a shade that would make her face brighter but avoid using a shade that will make her look unusually fair. After the foundation is set, it will be time to do the blush. This is also something that you have to decide according to the complexion of the bride. Use the light-shaded bronze powder to highlight her cheekbones and a slightly darker shade for the lips. This is the ideal combination for any bride. If you want to improvise and you are confident about it, then you can surely play with the shades a bit. Next is the eye makeup and you must be at your heels for this one. It has to be done with utmost care because the eyes are going to be the main highlight of her face. First of all, use false eye lashes to make her eyes more prominent. Then apply eyeliner on the upper and lower lips in fine strokes. Draw thin lines close to the eye lashes if the bride has big eyes and if the eyes are not so big draw broad lines to make the eyes look big. 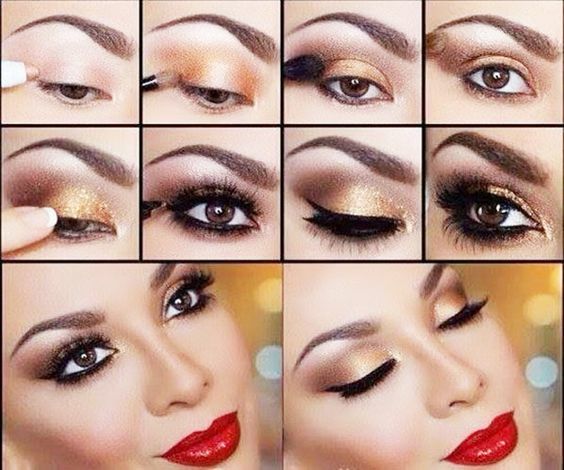 The upper part of the eye that is the eye lid should be tinted with a blend of three eye shadows. See that the colors you choose mix and match well with each other. You can also choose the color according to the color of the dress that the bride will be wearing for the ceremony. For the lower lash of the eye, you use waterproof and smudge-free kohl as that will give the eyes a depth. 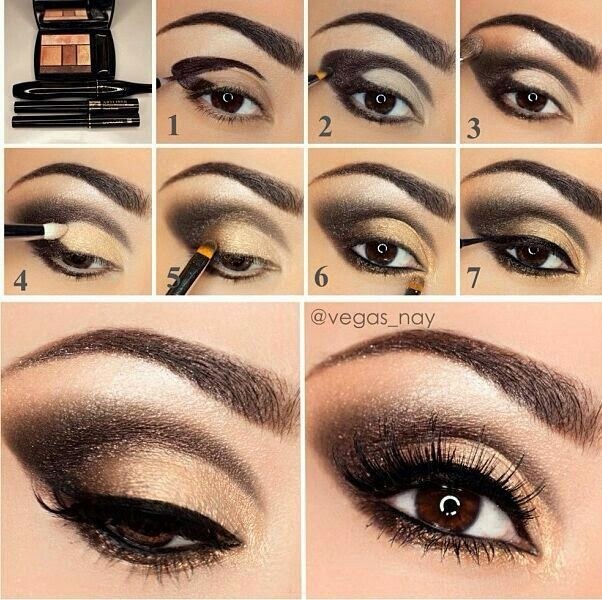 This step is all about doing the eyebrows. Shaping them to perfection without disturbing the rest of the makeup is an art and remember that you are the artist here. It would be best to use the brow brush to get the job done. Try using the thinnest brush that you have in your kit to give the brows the desired shape. After you are done, don’t forget to comb the brows using a fine brow brush. Last, but not the least will be the lips. This has to be done last otherwise the blush and foundation may disturb the beauty of her lips. Before applying the lipstick, use the lip liner to make an outline on the lips. Make the outline carefully using a thin brush and if the bride has thin lips draw the lines a bit outward to add more volume to the lips and if the lips are broad drw the lines a bit inside to give a thin look to the lips. A matte finish red shade will be perfect. If she insists on a glossier look, you can also use a transparent lip gloss to make her lips look glossy. But, choosing a light red shade will be the best because most Indian brides wear a red saree or something closer to red on the wedding day. Moreover, red lips have a charm of their own. So, keep it simple and use a red shade for the lips. The forehead is an important part of makeup for the Indian bride. The area above the eyebrows has to be decorated beautifully so that it can complement the bride’s eyes better. You can use decorative bridal bindis to serve this purpose. These are easy to get and these will stick for the entire event. Alternatively, you can also use sandal paste or white and red kumkum to do the decoration yourself. 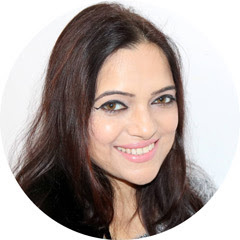 At last, choose a nice bindi, either red or any color matching with the attire, and put in between the partition of the eyebrows which will make the bride look more beautiful and elegant. Being a makeup artist can be easy if you know your basics right. The steps mentioned above are the simplest and easiest ones to follow. Any amateur bridal makeup artist can build on these steps and become a professional within a short period of time. Just keep in mind the combination of colors and which shades will be suitable for the bride. Once you get a grip on these things, nothing can stop you from becoming the most popular bridal makeup artist amongst your friends and relatives. Click here to get the latest deals on it.